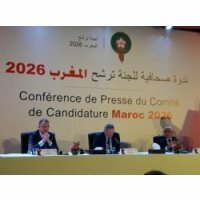 It expected that the Committee of Morocco offers 2026 officially on Thursday, March 15, nominate the Kingdom to organize the World Cup file After four failed attempts, thanks to the great experience the Kingdom seeks to nail embrace this global football wedding. And the International Federation of Football "FIFA" will pay an official inspection visit to Morocco, as part of the follow-up to run for the organization of the World Championship in April 2018 that the evaluation of the report done by the "FIFA" during the month of May of the same year file procedures. 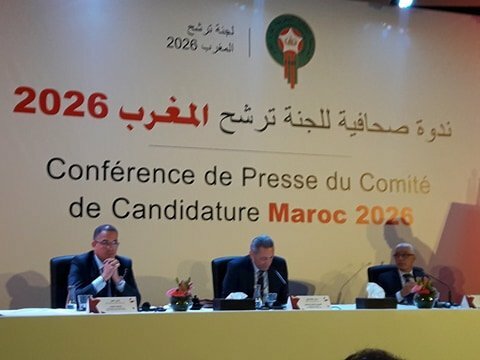 The Moulay Hafeez scientific head of the candidacy of Morocco to organize the World Cup in 2026, had said earlier, that there is a comprehensive mobilization in order to provide high-quality file for the nomination of Morocco to organize the World Cup football in 2026. Presented the scientific presentation to the Council of the government, on the data the nomination of the Kingdom of Morocco to organize the World Cup 2026, punctuality and benefits that must be carried out, the start of development of the nomination file on 16 March, in addition to field visits and other appointments up to the date of voting on June 13, 2018.